Until a couple of months back, India appeared to be on the ideal track heading into the 2019 World Cup. Virat Kohli and company appeared to have zeroed in on their combination and hadn’t tasted a notable series before being stunned 2-3 by Australia at home recently. A bigger concern that sprang out though was Kohli looking clueless in absence of Mahendra Singh Dhoni (rested from the last couple of games), who, one may say, operates as team’s de facto captain. It was then that many began to doubt Kohli – the captain. Kohli’s credentials as the captain in limited overs further took a blow after Royal Challengers Bangalore (RCB) have gone on to lose all of their four matches so far at the ongoing Indian Premier League (IPL). 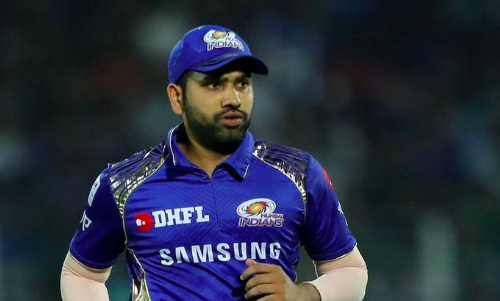 On the contrary, India’s vice captain Rohit Sharma – the skipper of IPL franchise Mumbai Indians – had some incredible decisions go by his side during his team’s latest win over SunRisers Hyderabad. Taking note of their contrasting outings so far, Twitter users demanded Rohit to spearhead Team India at World Cup. “@BCCI time to appoint @ImRo45 as captain for ICC 2019 World Cup,” one person wrote. “Is is just me that thinks @ImRo45 should captain Team India too?” another one corroborated. Former England captain Michael Vaughan also perhaps had the same opinion, but chose his words wisely. “Rohit is a very very good captain,” he wrote.